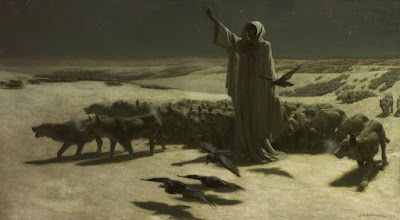 John Charles Dollman (1851-1934) was a British painter and illustrator. 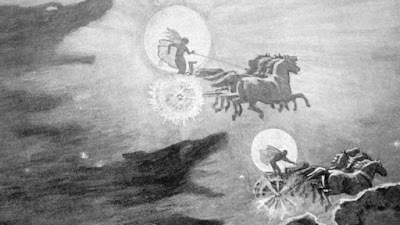 I discovered him through his illustrations of the Norse myths; this is Wolves Chasing the Sun and Moon. I also found this painting interesting: The Unknown, 1912. 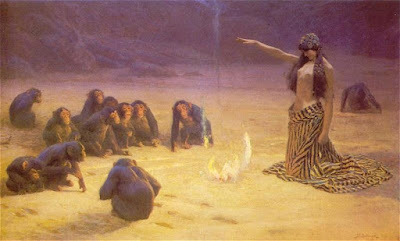 By that time, it seems, consciousness of evolution had penetrated the British psyche to the point that a painter interested in myths was thinking in terms of myths about apes and fire. At lunch, the day before yesterday, poor Titus Oates said he couldn't go on; he proposed we should leave him in his sleeping-bag. Should this be found I want these facts recorded. Oates' last thoughts were of his Mother, but immediately before he took pride in thinking that his regiment would be pleased with the bold way in which he met his death. We can testify to his bravery. He has borne intense suffering for weeks without complaint, and to the very last was able and willing to discuss outside subjects. He did not - would not - give up hope till the very end. He was a brave soul. This was the end. He slept through the night before last, hoping not to wake; but he woke in the morning - yesterday. It was blowing a blizzard. He said, 'I am just going outside and may be some time.' He went out into the blizzard and we have not seen him since. 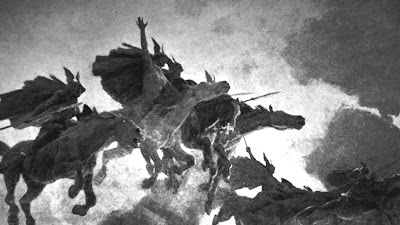 Oates' sacrifice did not help his companions; they were trapped by the blizzard and were all dead within a few days. But Scott's diary was found by a later expedition, and Oates' story became very famous. 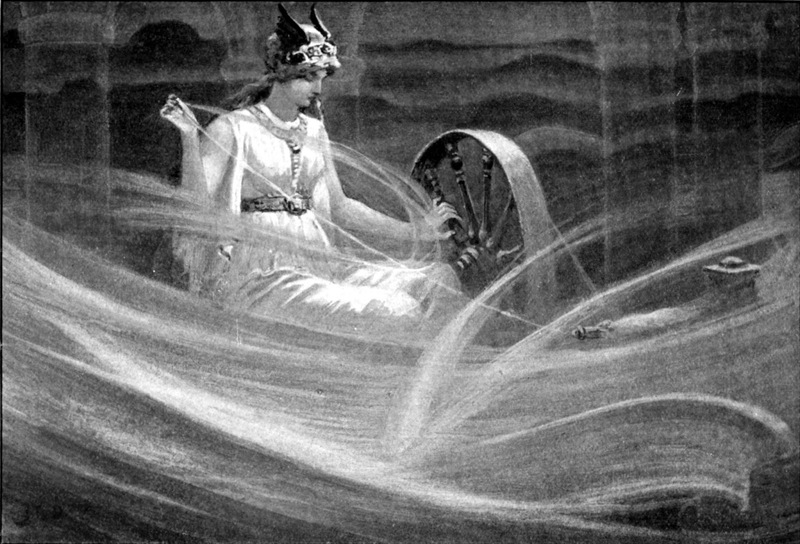 "I also found this painting interesting: The Unknown, 1912. By that time, it seems, consciousness of evolution had penetrated the British psyche to the point that a painter interested in myths was thinking in terms of myths about apes and fire." This fits with my understanding of things, given what I've read about the colossal impact that figures like Charles Darwin and T. H. Huxley had on British culture, both among intellectuals and laypeople alike.